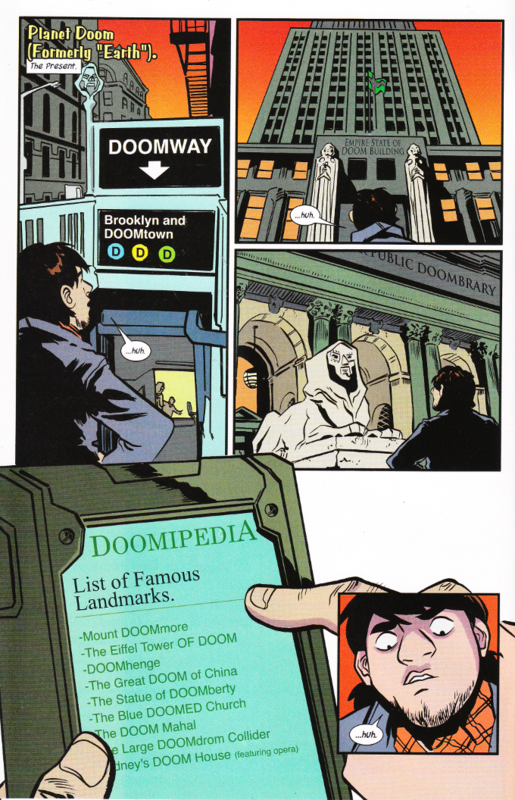 Doom has conquered the world! Only nobody has noticed because he did it in the past before there were any heroes who could have stopped him. Or so Doom thinks. Because there is one hero, conveniently trapped in the 1960s, who MIGHT stop him yet - The Unbeatable Squirrel Girl! The greatest thing about the series is how it revels in the sheer insanity of The Marvel Universe without having to exaggerate a thing. 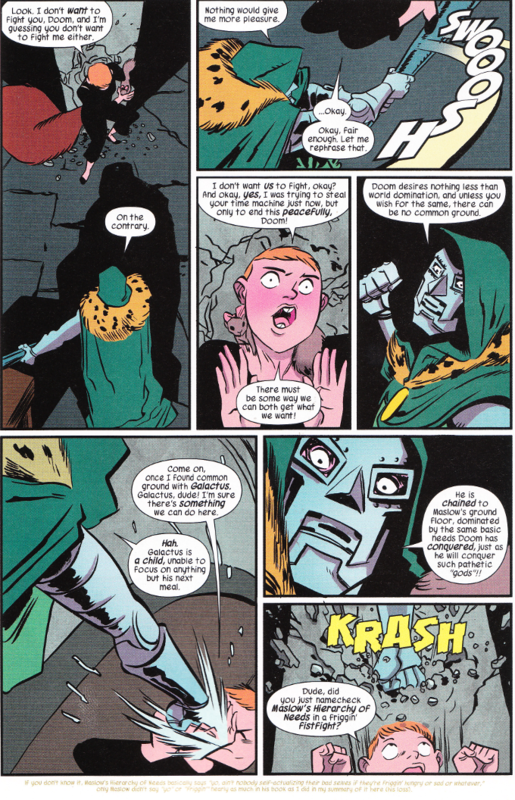 Doom is played completely straight in Ryan North's script, which makes it all the more hilarious when the likes of Squirrel Girl and a bunch of second year computer science students are trying to thwart his plans. You don't see this kind of fun in modern comics often and thank goodness The Unbeatable Squirrel Girl is here to provide it. Erica Henderson's artwork is the perfect medium for capturing this anarchic spirit. There is a raw passion to Henderson's aesthetic that is well suited to North's scripts. And the colors by Rico Renzi are well chosen.